This is a KPCC In Person invite-only event. To be invited to the next one, subscribe to our newsletter! KPCC In Person and “The Frame” invite you to join us for an intimate, hour-long conversation and mini-concert as John Horn sits down with Megan Mullally, Stephanie Hunt, and the rest of their rollicking alternative country band, Nancy And Beth. Best known as a comedic actor on the series “Will & Grace,” Mullally is also a talented musician. 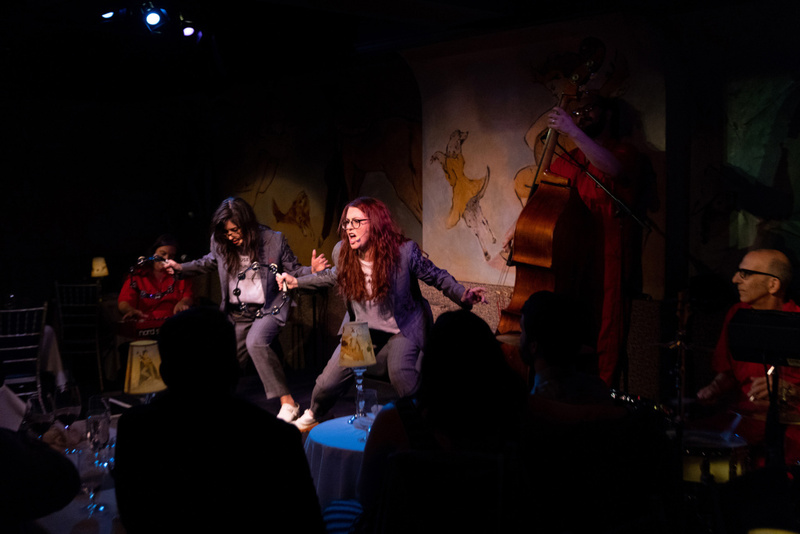 Along with Hunt (“Friday Night Lights”), Nancy And Beth released its first album two years ago and has since played at a range of venues including UCLA’s Royce Hall and the Lincoln Center. The band is self-described as punk-vaudeville and infuses comedic choreography into its performances of eclectic covers. Mullally trained at the School of American Ballet in New York and was playing in bands before she became an actor, while Hunt is a veteran of Austin's robust music world and has taught violin.